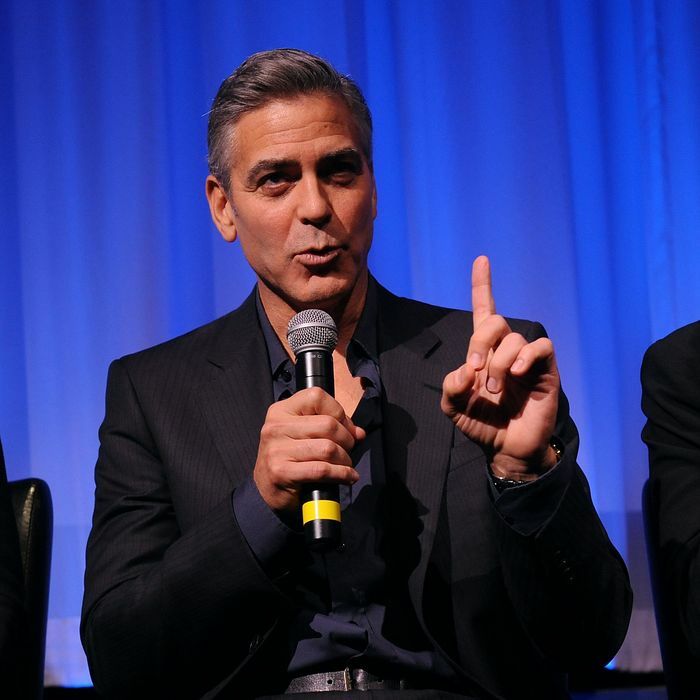 George Clooney has never been shy about sharing his thoughts on politics and current events. So yesterday, when we ran into him at a Peggy Siegal lunch for his new space flick Gravity, we asked the liberal-leaning actor for his thoughts about the ongoing government shutdown. He had many — on John Boehner’s grand strategy, on the “idiots” who think we don’t need government, and on Ted Cruz’s reading of Green Eggs and Ham.